The requirements to be able to run Canvas can be found on their computer specification page at https://guides.instructure.com/m/67952/l/720328. If you are enrolled in a class with a proctored final exam, you will also need to meet the following specifications outlined by ProctorU at https://www.proctoru.com/tech-requirements if electing to use online proctoring. All new students also complete the ACHS Student Orientation to familiarize themselves with the tools and functions of the online classroom they will use to complete their studies with ACHS. As a fully online college environment, it's important that our students are able to meet certain technical requirements. This ensures they can fully access and engage with their online courses. The good news: virtually any modern desktop computer should work perfectly. If your computer can run the latest version of Firefox, Chrome, Safari, or Internet Explorer - you should be fine. But it's important that you keep up with software updates to ensure ongoing compatibility with our online learning environment. We also highly recommend a strong Internet connection. While not absolutely necessary, we're constantly adding rich media (video, audio, etc.) to our courses, and these resources will work much better across a fast Internet connection. The following web technology services and resources are not required, but are strongly recommended. We are constantly evaluating new and emerging technologies, and these are currently the free services we recommend to students and faculty. Google provides a number of excellent free cloud-based services to students, but particularly worth mentioning here are Gmail and Google Documents. Gmail provides over 7 gigabytes (and growing) of email storage space, which allows you to both send and receive large file attachments without difficulty, as well as archive old messages. Since your mail is stored in the Google cloud, you don't need to worry about losing data if you get a new computer or if an old computer crashes. Not all students have (or can afford) costly office programs for their computers. Google offers a free web-based alternative with Google Docs. In addition to word processing, spreadsheet, and presentation elements, Google Docs also provides web-based "Form" functionality, making it possible to painlessly gather survey data for research and to populate a spreadsheet for analysis. Another benefit of using Google Docs is that you can invite others to collaborate on certain documents, making it perfect for group projects. Changes to documents are automatically tracked and archived, making it easy to undo changes and see which collaborator made certain edits and contributions. 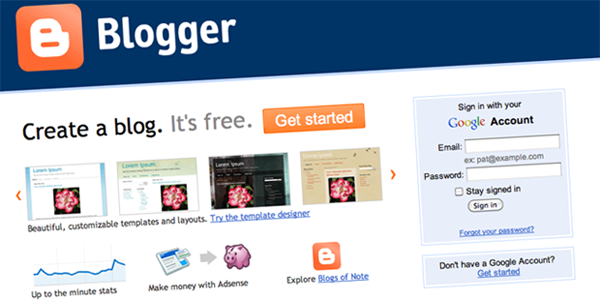 Blogger is a 'push-button publishing' platform, making it easier than ever to get your message out. Students could potentially use a blogging service like this to keep a digital portfolio of the work they do in their ACHS program. While there are a number of excellent alternatives to Blogger (such as Wordpress), this one can be attached to your existing Google Account. See recommendations above. Share your photos with your classmates and the world. Flickr is the world's leading photo-sharing website, and while there are a number of excellent alternative services you could choose, by using flickr you will be able to more easily share photos with the college. Prezi is a 21st century, non-linear alternative to PowerPoint presentations. Whereas most presentations utilize slides, Prezi implements an infinite canvas built by the presenter. The presenter pans, rotates, and zooms in and out of the canvas as needed, creating the sense of a more holistic presentation as the audience can better visualize the interconnection of ideas. NOTE: Whatever presentation software you decide to use, there are certain guiding principles of designing a good presentation worth following. Beneath is a demonstration of a presentation built on the Prezi platform. In this video James Geary talks about mixing mind and metaphor. Diigo is possibly the perfect web companion for an online student. Diigo allows you to highlight, attach notes, and comment directly on any page on the web. Even if that page goes offline in the future, you'll still have a record of that page - along with all your notes - on the Diigo server. Sign up and get started! 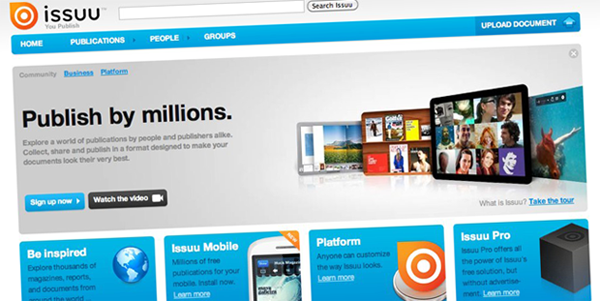 Issuu is an interactive, digital document hosting repository. Ensure anyone, anywhere can access your documents by publishing them with Issuu. You can host .doc, .ppt, .pdf and more file-formats. You will find several ACHS resources hosted in this 'green' digital format. You may occasionally be asked to create and post a video as part of your coursework. YouTube, another web property of Google, is one of a few excellent video-hosting sites. Vimeo, below, is another free recommended service. 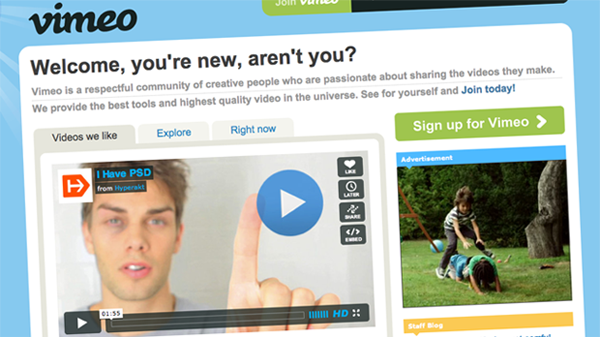 Vimeo is another video-hosting site like YouTube. There are some creative differences worth exploring, depending on your needs. ACHS uses both Youtube and Vimeo to address different video-hosting needs. Xtranormal is a newcomer to our list of tech recommendations. Xtranormal is a tool that allows anyone to take a simple text document and turn it into a video (albeit a cartoonish one), with very little time or work involved in the process. Occasionally, you may want to produce an illustration for a course. There are many expensive desktop image-creation and photo-editing software packages available, but we've found Sumo Paint to be a pretty powerful little web-based alternative. Once you've finished your design, you can save and the file is already online - making it easy to post a link for your instructor or classmates. Because we have students using different platforms, we try - where possible - to recommend only free multi-platform applications that any of our students should be able to use. We are constantly enhancing our course content with rich media, such as video and audio podcasts. iTunes is the perfect cross-platform solution to manage the audio side of these resources. 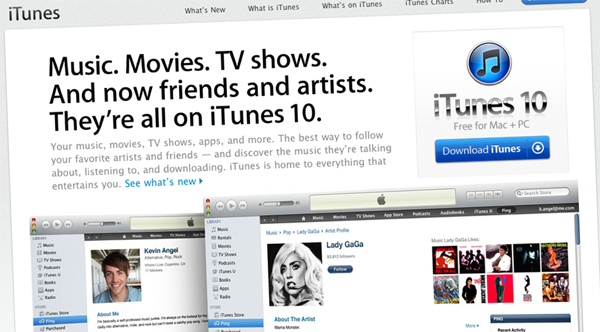 But the real reason we recommend iTunes? iTunes University. iTunes U contains thousands of educational lectures, many from top tier universities such as Harvard, Stanford, and UCLA, on any number of subjects including health, nutrition, and the politics and history of each. If you already have iTunes installed on your computer, please take a moment to visit the iTunes U or Podcast section of the iTunes Store and start downloading! During your studies with ACHS you'll find animations and videos in any number of different formats, and VLC can handle them all. Make sure you have VLC installed and ready to use. Jing is a free multi-platform screen-capture program. It can be particularly useful if you run into technical issues or have a question about something you're seeing online. Simply take a quick snapshot of what's happening on your screen, and send that image to our support team or to your instructor. If you're using a mac, you may want to try using Skitch instead. It's more intuitive and offers more features than you might find in the free version of Jing. 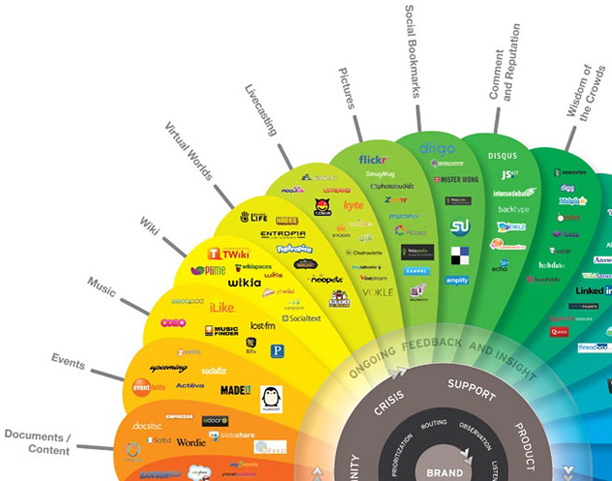 The landscape of web technology is constantly changing. Fortunately, we're paying attention. We closely follow the emerging trends and technologies on the Internet, vigilant on the lookout for new tools that may better the education of our students. If you know of a resource that you'd like to recommend to the college, please send an email to technology@achs.edu and we'll evaluate it. ABOVE: A Visual Excerpt of "The Conversation Prism"
An art piece illustrating the intricate geography of popular web services today, created by Brian Solis and JESS3.